The Flight Management Systems (FMS) on each of the FAA”s Flight Inspection aircraft enables the inspection team to flight check the service range of any localizer (ILS, LDA, SDF, etc.) in their worldwide database. 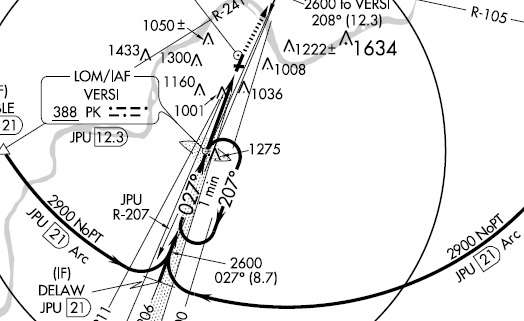 FAA Aviation Systems Standards (AVN) refers to the flight checking of a localizer as the ILS-1 Arc Maneuver. In order to automate the ILS-1 Arc Maneuver, FAA’s Aeronautical Information Services – AJV-5 organization contracted AeroNavData to create a software application that would produce an ARINC 424-18 Standard Terminal Arrival Route (STAR) for each localizer in their database. AeroNavData designed the ILS-1 Arc Maneuver application to create more than 1000 ARINC 424-18 STARs worldwide, for every 28-day AIRAC cycle. These STARs are added to FAA Aviation Systems Standard’s custom ARINC database and is packed for use in the FAA’s flight inspection airplanes. be capable of flying the 17- and 25-NM DME arcs elsewhere in the world, where Procedures for Air Navigation Services Aircraft Operations (PANS-OPS) criteria are required. Enable the flight-check pilot to conduct a more hands-off flight check evaluation for each localizer. The DAFIF® to ARINC Converter is AeroNavData’s unique software solution that enables us to convert the U.S. Government’s proprietary Digital Aeronautical Flight Information File (DAFIF®) to the internationally recognized ARINC 424 format for authorized users in commercial off-the-shelf flight management systems (FMS). 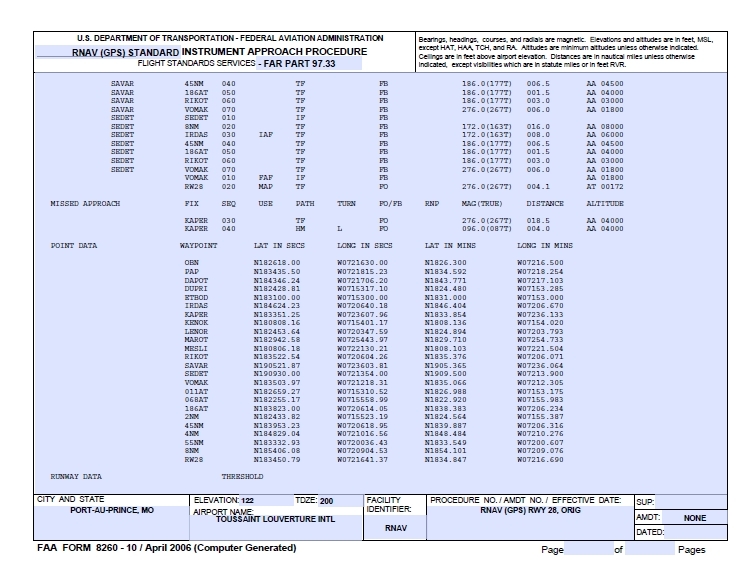 Since not all DAFIF® fields can be converted to ARINC format, AeroNavData provides a comprehensive Gap Analysis Report that describes the fields that cannot be converted, along with recommended remedial actions. The Flight Check Converter was created by AeroNavData for FAA’s Aviation System Standards (AVN) organization. The application converts a single ARINC per-procedure packet or multiple packets. These tailored packets make it possible to store, in an airborne Flight Management System (FMS), both current and future versions of the same terminal procedure. The future version is any new or amended procedure that requires Flight Inspection prior to publication. The Flight Check Converter can convert SID, STAR and IAP packets produced in accordance with any ARINC 424 Supplement. A per-procedure packet is created that is identical to the one produced from the IFP packet output.